CINCINNATI – Here's how diversifying a college works. 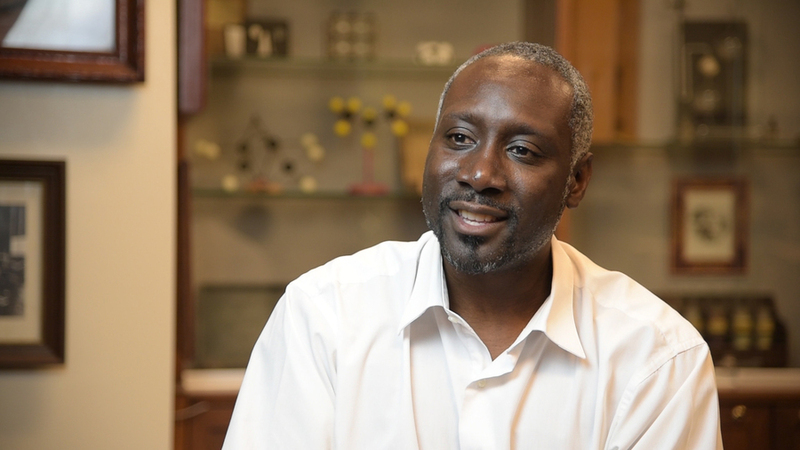 James Mack was a couple of months away from going on the job market in 2002 to when University of Cincinnati's chemistry department made a bid for him to join its faculty. "Instead of waiting for the normal recruiting season, they contacted me early," he said. DeVonna Gatlin was choosing between UC and Iowa State in 2013 to pursue her doctorate in chemistry when several professors took her out to dinner with their families to woo her. DeVonna Gatlin. Courtesy of UC. "All the professors and their kids knew each other. And they weren't shy about letting me see all the good, the bad and the ugly," Gatlin said. All that summer, Dr. Eddie Merino checked in with her by email. "It showed me they cared about the student," she said. Both are African-American, and are now part of a chemistry department that is maintaining its ranking one of the top 100 chemistry programs in the nation while far outpacing its peers at recruiting more women and African-Americans and Hispanic faculty. A Nelson diversity survey of the U.S. top 100 chemistry programs indicated that UC's 21-member faculty had nearly twice the percentage of women as average, triple the percentage of African-Americans and nearly four times the percentage of Hispanic faculty members. The department is still dominated by male faculty, who hold three out of every four positions. But that's below the national average of 86.3 percent men, too. The same goes for graduate student recruitment, with the exception of lackluster results to recruit Hispanic students, which lags slightly below average. "We've improved while we brought in a diversified group and we have gotten more accolades – grad student of the year, invitations to national symposia," Mack said. Dr. James Mack. Courtesy of UC. Since joining the faculty in 2003, Mack has risen through the ranks to become a full professor and, just recently, associate dean of UC Graduate School. He serves under Department Head Anna Gudmundsdottir, a native of Iceland, who is the first woman to hold that position. She and Mack both credit the department's deep dives into the résumés of prospective students and faculty that look beyond standardized test scores and GPAs. They identify characteristics that point toward future success like thriving despite having to work while earning undergraduate degrees or not having the means to take ACT or GRE preparatory classes but still testing nearly as well as more affluent students. We're not compromising excellence in any sense, but we're willing to take a little more risk on students," Gudmundsdottir said. Dr. Anna Gudmundsdottir. Courtesy of UC. Mack put it this way. If he sees a student who "rolled out of bed" to score a 1000 on the GRE and another student who prepared for two years score an 1,100, the 1,000 score is the floor of that student's attention, while the 1,100 may be the ceiling of the other's. He tries to use that message to encourage African-American and other under-represented kids when they're considering pursuing hard sciences like chemistry. "Sometimes those scores don't define who you are. I try to get the students away from propaganda you hear and really give them the facts," Mack said. He said academia will be truly diverse when universities grow accustomed to not only recruiting the very top minority teachers and students but also accept that some will be average and others won't make the cut – just like the general population. Gatlin doesn't fit the bill when it comes to mediocrity. The 28-year-old doctoral candidate has excelled at UC through her first three years. She grew up in south central Los Angeles and developed her love of chemistry at a public magnet school that focused on medicine. 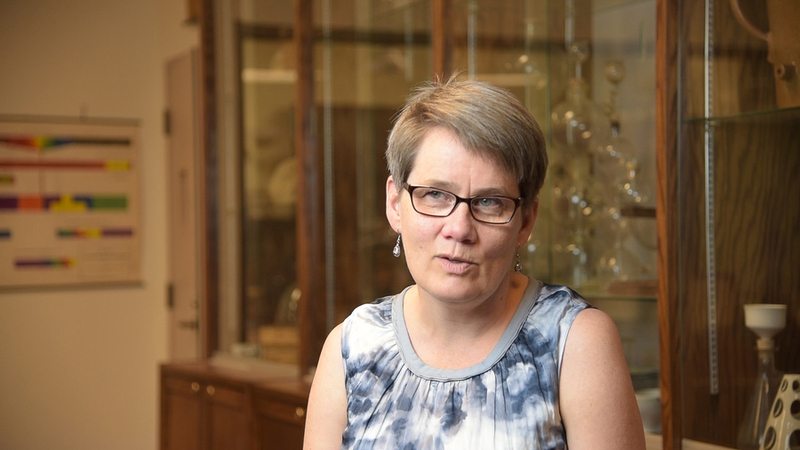 Gatlin founded the UC Graduate Consortium for Cultural Diversity in Chemistry. The group is a safe place for students to ask anything and everything about navigating graduate school. 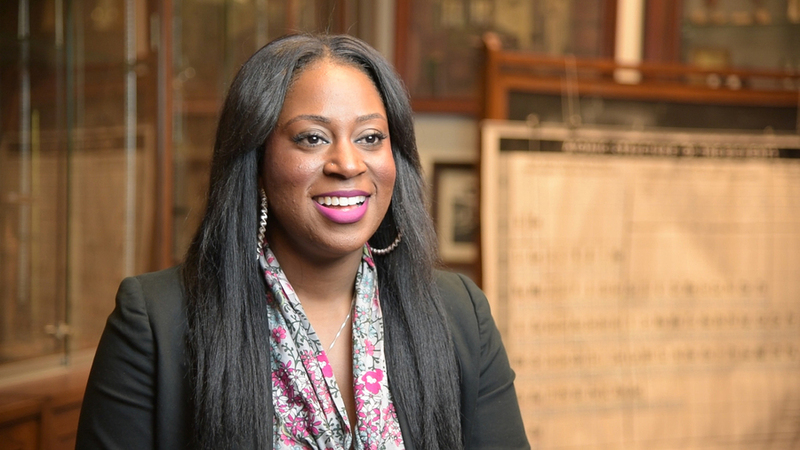 "I would say as I came in, chemistry was being strategic at making diversity a priority. I'm in a long line of people in the department who have made sure of that," she said. "We can open up many doors for other departments to diversify." Gatlin's "billion-dollar dream," she said, is to form her own cosmetic firm in the mold of Estee Lauder, which employs a lot of chemistry to develop new products. She had mentors every step of the way, but made sure to follow her own passion even when people tried to steer her in other directions that might more safely guarantee financial success. Sticking to your own dreams is part of her message to younger students. "Always take ownership of your journey and go with what your passion is. Whatever makes you happy, do that but market yourself while you're doing it," Gatlin said. Mack is on the executive committee of the year-old UC Black Faculty Association and part of the months-old morale committee, which is a sort of clearinghouse for acclimating minority faculty to Cincinnati – recommending neighborhoods to live in, barbershops, daycare or anything else. And while UC has a long way to go to create a more diverse student body and faculty, Mack said, top administrators are supporting efforts like the black faculty association. "I think the president and the provost are committed to doing that and giving us the tools and resources, 120 percent," he said.